General E. R. S. Canby was murdered here in April 1873 while holding a peace parley with Captain Jack and Indian chiefs under a flag of truce. Eleazer Thomas, peace commissioner, was likewise slain. 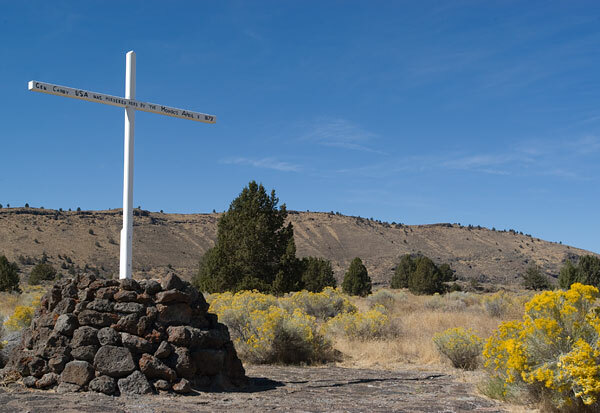 The California commemorative marker for Canby's Cross is located approximately fourteen miles from here at the intersection of Highway 139 and County Road 120 in Modoc County.